Set your GTO/G8 off with a set of H&R sport springs to give it that sleek look you have been looking for. These H&R Sport Springs are the perfect solution to your Pontiac GTO/G8's unsightly wheel gap. They are affordable and will last longer then your car. Made out of high quality steel and 100% designed and constructed in Germany. 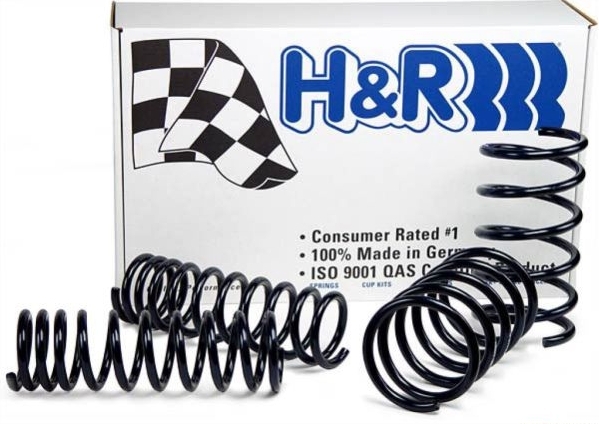 These H&R sport springs are designed to perfectly eliminate your wheel gap, giving you a perfect flush look and a lower center of gravity for precise handling. Set your GTO/G8 off with a set of H&R sport springs to give it that sleek look you have been looking for.